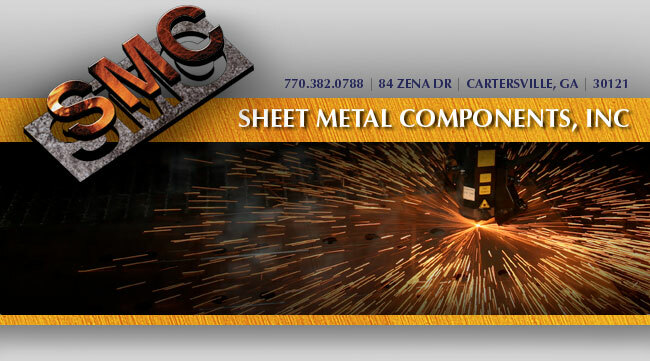 Sheet Metal Components, Inc. is located just north of Atlanta, in Cartersville, Georgia, near the intersections of highways 20, 411 and 41 - just a short distance from I-75. The facility was custom built for Sheet Metal Components. It features 67,500 square feet of shop space and 2,500 square feet of administrative offices. The building includes 14' drive-in doors, dock height loading, a trailer-height pad for side loading, a drive in dock, two fork lifts and 15,000 square feet under a 5 ton or 10,000 lbs. crane. We can handle any loading or unloading situation for sheets, coils, and finished parts. Our facility is clean and new and sets the stage for the quality procedures that go into every job that we do. 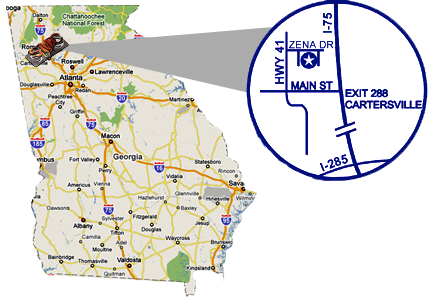 From I-75, take exit 288 west on Main Street approximately 1 mile to Hwy 41, then turn right. Travel 1.6 miles, turn right on Zena Drive. We are located 2 blocks ahead on the right.